Getting things to render on the PS2 is a little more complicated than using OpenGL and it’s also a very different system to a PC. On the right you can see a block diagram of the Emotion Engine – it consists of the EE core, the CPU on the left and the GS – Graphics Synthesiser, on the right. In between are 2 other processors called Vector Units – very fast processors designed to do things to vectors – points, colours etc. All the Graphics Synthesiser can do is rasterise 2D shapes with points given in screen space and do your texturing & gouraud shading for you. 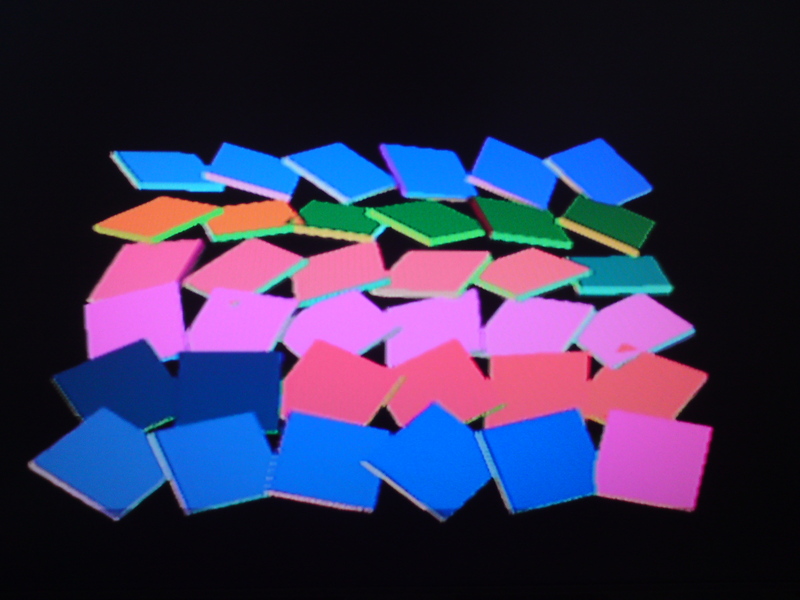 It can draw points, lines, triangles or quads in various configurations (similar to OpenGL). However all the 3D transformations and lighting calculations have to happen elsewhere – in one, or both of the Vector Units or the CPU. The GIF Tags contain information on what sort of primitive it should draw and how the primitive data is laid out. The primitive data is the same as the primitive data in fluxus – vertex positions, colours, texture coordinates, texture data etc.